Hashemi, M., Fallah, A., Aghayan, H. R., Arjmand, B., Yazdani, N., Verdi, J., Ghodsi, S. M., Miri, S. M. and Hadjighassem, M. (2016). A New Approach in Gene Therapy of Glioblastoma Multiforme: Human Olfactory Ensheathing Cells as a Novel Carrier for Suicide Gene Delivery. Mol Neurobiol 53(8): 5118-5128. Bahrami, F., Hashemi, M., Khalili, F., Hashemi, J. and Asgari, A. R. (2013). Stimulation of Cannabinoid CB1 and N-methyl –D-aspartate Receptors Increases Neuroprotective Effect Against Diazinon-Induced neurotoxicity. Neurophysiology 45(5/6): 433-440. Sadri, S., Bahrami, F., Khazaei, M., Hashemi, M. and Asgari, A. (2010). 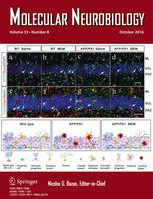 Cannabinoid receptor agonist WIN-55,212-2 protects differentiated PC12 cells from organophosphorus- induced apoptosis. Int J Toxicol 29(2): 201-208. Hashemi, M., Bahrami, F., Sahraei, H., Golmanesh, L. and Sadri, S. (2010). The neuroprotective of cannabinoid receptor agonist (WIN55,212-2) in paraoxon-induced neurotoxicity in PC12 cells and N-methyl-D-aspartate receptor interaction. Cell Journal 12(2): 183-190.